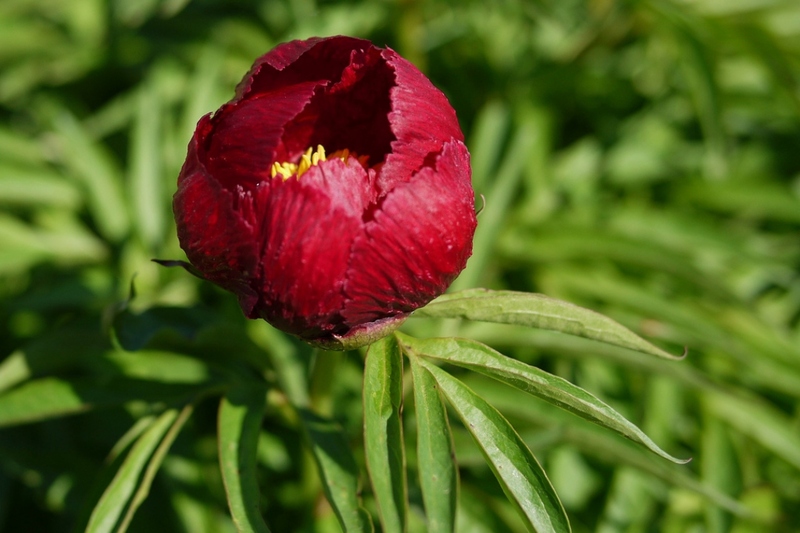 Fern leaf peony (Paeonia tenuifolia): growing, planting, caring. 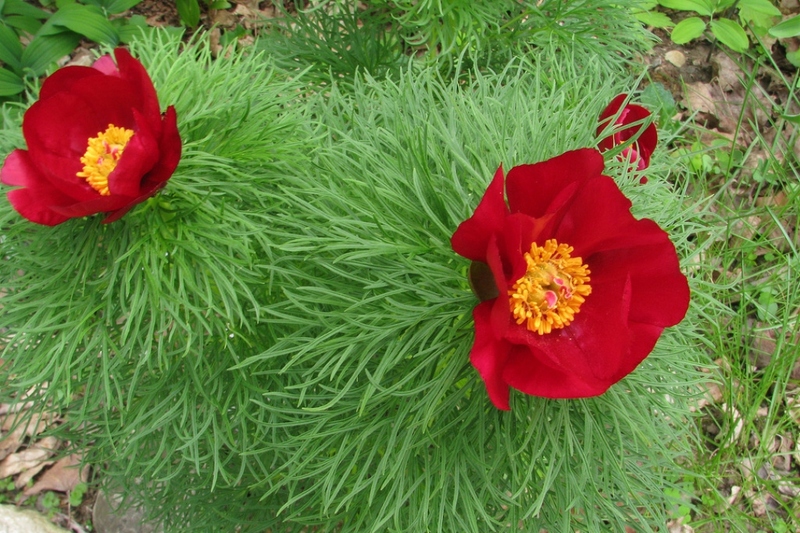 A peony with fern-like leaves. 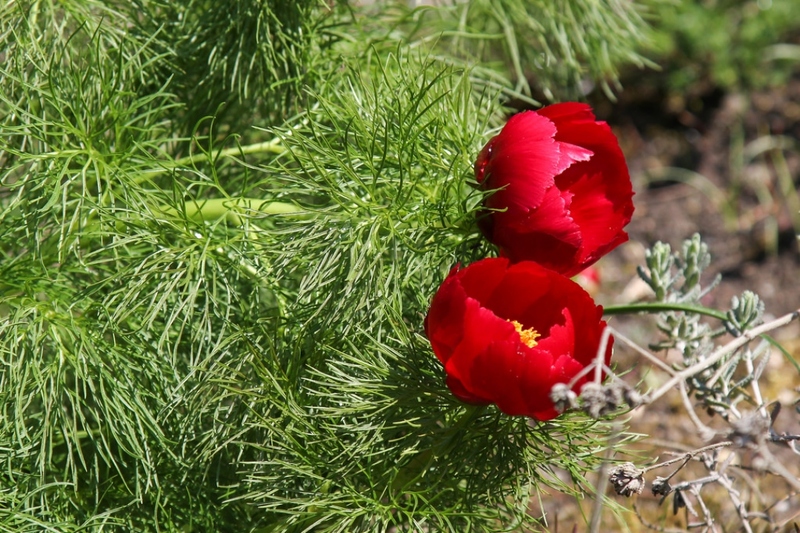 Paeonia tenuifolia is a herbaceous species of peony native to the Caucasus Mountains of Russia. It reaches between 30 and 60 centimeters in height, with leaves finely divided into almost thread-like segments growing close together on the stems, and red scented flowers with numerous yellow stamens in the centre.